In Part I, we began discussing waste management violations, and you learned what the top 5 most common violations are within the hazardous waste industry. The largest lack of compliance in this category is having open containers at a time when waste is not being added to the containers. Containers that are left open can pose a fire threat, the potential for explosion and releasing chemicals to the environment create an exposure risk to employees. Having an open container could also lead to accidentally mixing wastes that might not be compatible. A safe way to manage opening containers when dealing with liquid hazardous wastes is to use a safety funnel with a latch. Another big issue is having a container that is not DOT compliant. 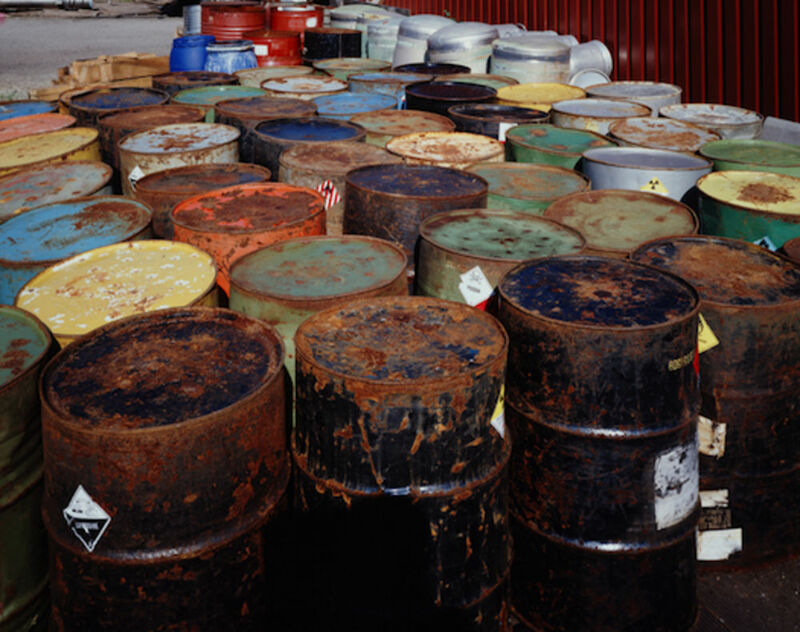 An extremely important aspect of hazardous waste management is containing the waste. Failing to have good quality containers could lead to site or transportation spills. Containers should also be kept in a safe storage area where they can be locked up. This will decrease the chances of vandalism and save you the costs of cleaning up a spill you did not cause. Training is an extremely important aspect of hazardous waste management. Anyone that comes in contact with hazardous waste has a piece of responsibility that it is being managed properly. If an employee is not trained to properly handle hazardous waste and materials, chances are they could cause your facility to not be compliant. The best way to ensure that your facility stays compliant with EPA regulations is to train all employees that could handle hazardous wastes. This training is also important for anyone who does not regularly manage hazardous waste but might need to know the correct procedures to follow in case of an emergency. All employees should know what a contingency plan is, as well as where they can find it should they need it. It never hurts to have everyone trained, and there is no such thing as “too much” training. Much like the contingency plan, this plan is required within the first three years of being a hazardous waste generator. This plan is required for both small and large quantity generators. The hazardous waste reduction plan should include the scope and objectives of the plan, an assessment and characterization of any waste streams, and contain measurable quantitative goals. Once this plan has been completed, it should be signed by management and be updated annually. One of the most common violation we see when we are onsite at facilities, is to see spent fluorescent lamps laying around. Not only is this a hazard due to the potential for broken glass, lamps contain Mercury which is dangerous to employees and to the environment. These lamps should be kept in a closed container where they will either not break or any broken debris will stay collected within the container. The containers should be labeled “Universal waste lamps”, “Waste lamps”, or “Used lamps”. Companies often go about this one in a couple of ways. If a facility does not have the proper licensing to dispose/discharge of hazardous wastes, they will often try to dispose of the materials as nonhazardous or they will simply dispose of the hazardous waste in a regular dumpster. Both of these result in some pretty serious consequences. Basically, if a piece of paper enters your building in regards to hazardous waste, you should keep it and know where each form of document is located. In general, you should always familiarize yourself with any regulations, know your classifications of hazardous wastes, always choose the best storage method, and train your employees in compliance. If you are unsure, ask a qualified hazardous waste management company for guidance.